Anchorage Assemblywoman Amy Demboski has officially resigned her post to join the new administration of Gov. Mike Dunleavy. Demboski’s resignation was expected. 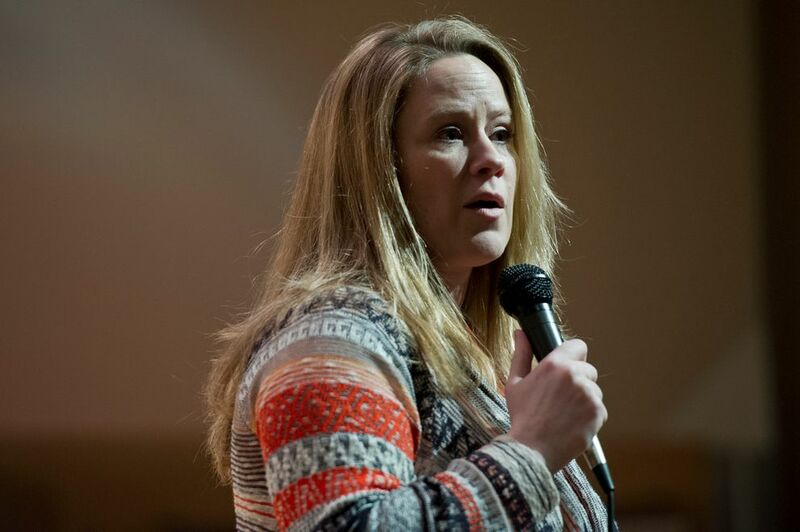 On Sunday, the governor’s new deputy chief of staff said during an emergency meeting of the assembly that she’d resign once Dunleavy was sworn into office. That happened Monday in Kotzebue, and on Monday afternoon municipal clerk Barbara Jones announced Demboski had submitted her resignation effective at noon. Demboski was tabbed by Dunleavy last month to serve as one of two deputy chiefs of staff. Jeremy Price is the governor’s other deputy chief, while Tuckerman Babcock serves as Dunleavy’s chief of staff. On Sunday, Demboski said she planned to work for her local constituents right up until the minute she resigned. "My job as an assembly member doesn’t stop until the moment it stops,” she said. Assembly chair Forrest Dunbar said at Sunday’s meeting that he’d introduce a resolution Tuesday to declare the position vacant. According to municipal code, the assembly will then have 30 days to name a replacement. A former chair of the Chugiak Community Council, Demboski was first elected to the assembly in 2013. Her term would have expired in April had she remained on the assembly.